Who Needs Just One Shower Caddy? My dad has been renovating our bathrooms and I was trying to hold off until he was finished before sharing this post. But, again, I have the patience of a two year old. Continue reading Who Needs Just One Shower Caddy? Isn’t it funny how showering changes once you become a parent? It did for me anyway. Showers before children were necessary, but nothing I thought twice about. Now they are this little 10 minute vacation where I get to have some quiet thinking time to myself. Ah, Summer. One of our four favorite seasons. There are so many thing to love about this time of year: reading a good book under a shady tree, the smell of freshly mown grass, bike rides, thunder storms, little league baseball, lounging on the beach, picnics. We could go on. But one of the best things about summer is July 4th, Independence Day. When it comes to holidays, this one has the biggest bang for the buck (pardon the pun). Remember when you were little, waiting impatiently until it was dark enough to light the sparklers? Of course there was the delicious distraction of the July 4th backyard cookout. Watching dad set the charcoal ablaze, and once the coals were good and hot, he’d get the hamburgers and hotdogs going. Mom would bring the potato salad and the sweet lemony iced tea out and place them on the red, white, and blue tablecloth. The food seemed to taste even better outside. And to finish things off, fresh slabs of watermelon. Things have changed since then. Our backyard barbeque menus now include things like baby back ribs with espresso barbeque sauce, tarragon potato salad, and watermelon with feta, mint and chili. And we’ve got some pretty impressive grills—our favorite is a combination gas-on-one-side, charcoal-on-the-other. But in the end, it’s still all about fun, family, and great memories. 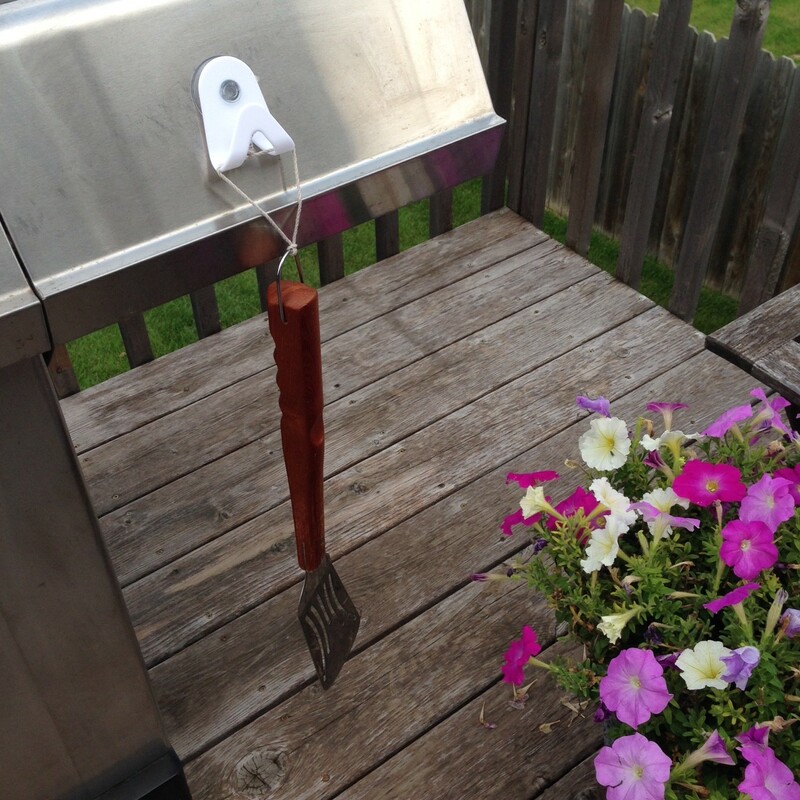 By the way, the My Shower MyHook is perfect for keeping your barbeque utensils close at hand: just stick a couple of MyHooks to the non-heated parts of your grill, and if there isn’t already one there, tie a piece of string to the handles of your spatula and tongs to slip over the MyHook, and voila, no more juggling utensils. And may we humbly suggest declaring your independence from your old shower caddy! Go rustproof and mildew resistant with the flexible MyShower organizing system. Your shower will celebrate all year long.